Home » Website Building » Make Money Online » How AdSense Changed the Internet? How AdSense Changed the Internet? Pay per click advertising existed for the past many decades and was most famous for the scam programs more than making money online. Google’s introduction of AdSense changed the face of PPC advertising and it took a decade for Google to establish a strong and reliable program like AdSense. We explore here how AdSense has changed the entire web in many ways one would not have expected a decade before. 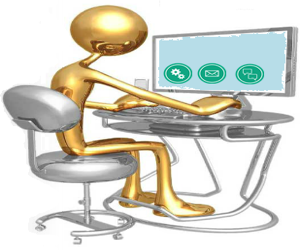 After seeing the initial success from AdSense people started building sites exclusively to make money from AdSense. Once Google integrated AdSense with their free blogging platform “Blogger” it became very easy for people to start publishing sites instantly and display ads from AdSense. Every site builder platforms started offering integrated AdSense to encourage users registering and creating sites using their platform. This provided good platform for common people to think of creating a free site and start making money from the search engine giant. Here more than the earnings, reliability of Google played important role to help users to overcome the scam filled PPC world. At the end Google forced mechanisms such as length of site ownership, domain duration and own domain for getting AdSense approval. 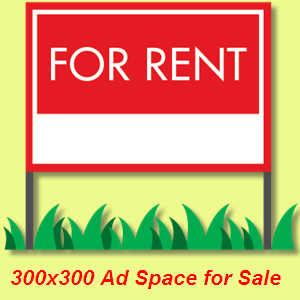 But it does not seem to discourage people in creating sites for getting AdSense approval. The major success reason of AdSense among small-scale publishers is that they can earn some money from their online content to pay domain registration fee and run their site with comfortable hosting. 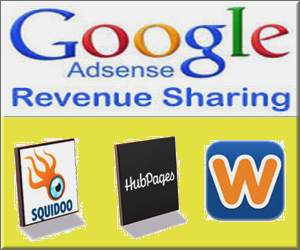 Ever since AdSense became popular and reliable, plenty of sites popped up with the concept of revenue sharing. There are lots of innovative ideas evolved in revenue sharing mechanisms and try to target users who may not have dedicated time to build their own site. Basically Google has tie up with sites to authorize them as a revenue sharing partner in turns those sites have their own rules to distribute the revenue to the publishers. For example, some revenue sharing sites mix the ad display ratio with the publisher. Publisher will get the portion for the clicks received on their ads and revenue generated on clicks received from other ads will go to the site. Undoubtedly Google took over the advertising to online in a concrete and confident manner than any other company and also got succeeded in shifting the focus from traditional classifieds ads, newspaper and TV ads to relevant and interested online ads. Displaying relevant ads make a big difference with AdSense compared to TV ads where there will be no relevance of the ads and the program content. Who knows Google may also keeping an eye to replace the TV and offline ads with some other innovative mechanism like AdSense. Even years before AdSense, Google was running the advertisers program AdWords to display ads on the search results. But search results are very different than displaying ads within the content of a relevant site. 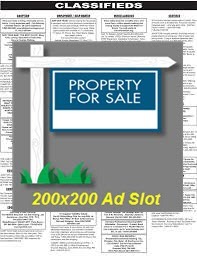 Now advertisers can able to design their ad campaigns and decide for what keywords they want the ads to be auctioned and what size of ad they prefer. Unlike traditional pre-paid ad system like TV or newspaper ads, pay per click has greater advantage for advertisers that they only pay if someone clicks on the ad. They also have an option to pay on the basis of thousand ad impressions. After Google’s entry into the PPC world, publishers got lot of confidence and stated creating more useful content than ever. There are people left their full time job and started making handsome money from the website to make their living. The life of people clicking ads to get $.0001 got changed when they realized a little more effort will bring them $1000 check from Google. The big deal for the publisher is that they do not need to search for advertisers and making a quality content is sufficient to build a money making platform and Google will do the rest with the integration of AdWords and AdSense. The scenario even became better for publishers when they have the option to choose the ad category to be shown, block advertisers and review ad performance. This ensures quality relationship between publishers and advertisers from the old time where advertisers anonymously decide what to do and ignore small scale publishers. AdSense definitely opened the door for making money for a small publishers which was not so easy before.